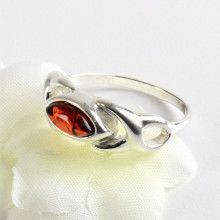 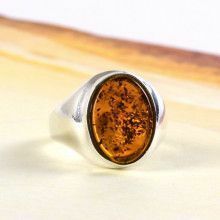 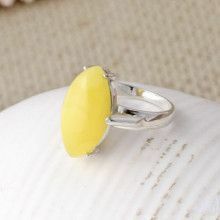 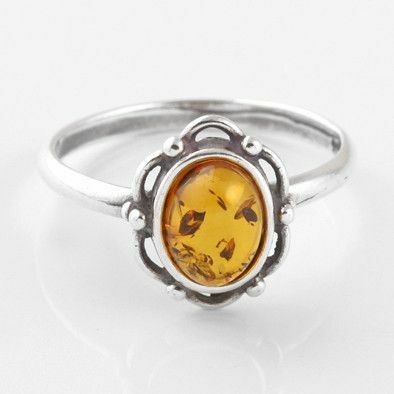 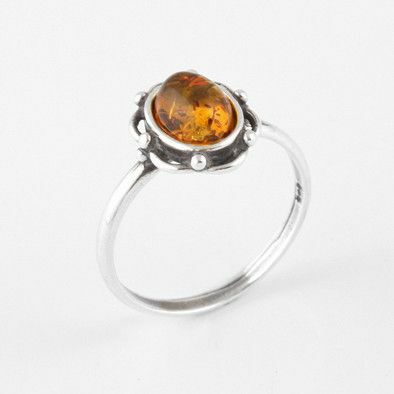 A brilliant honey amber oval is surrounded by gently looping oxidized .925 sterling silver, forming a sweet floral themed amber ring. 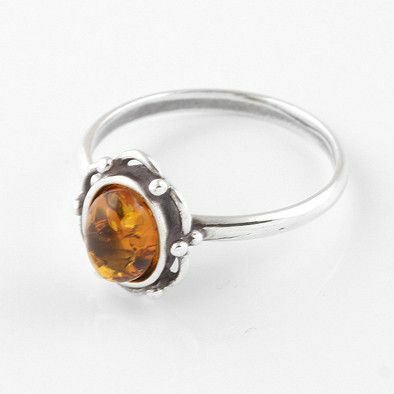 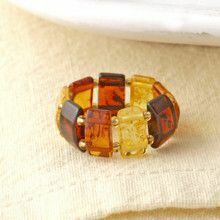 Blackened to add definition and give the ring an antiqued look, this ring combines the classic beauty of amber with a fun flower design. 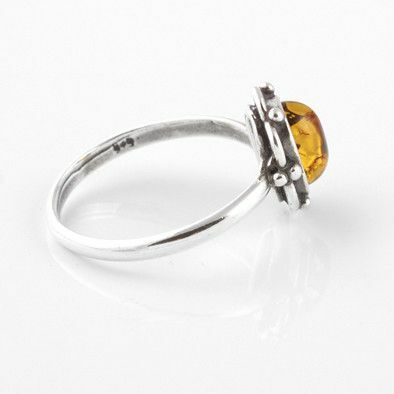 Top of the ring measures 3/8" x 1/2"